The temperature in Zagreb is increasing since last week. The sun is very strong here and I feel like as if the sun burns my skin! The Japanese summer on the other hand is very different. I think the sun is not that strong, but because of humidity, many people who visit Japan during summer think the air is so steamy and sticky, and very difficult to breath. Anyway, as the summer arrives in Zagreb, the strawberry season in Croatia ends. Usually, the strawberries are in season from the beginning of May til mid-June. 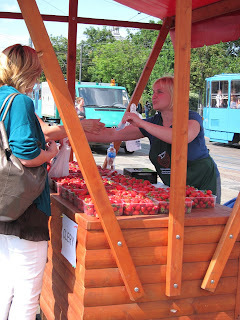 When the strawberries are in season, you will see lots and lots of strawberries not only in the Dolac market but everywhere in the city. 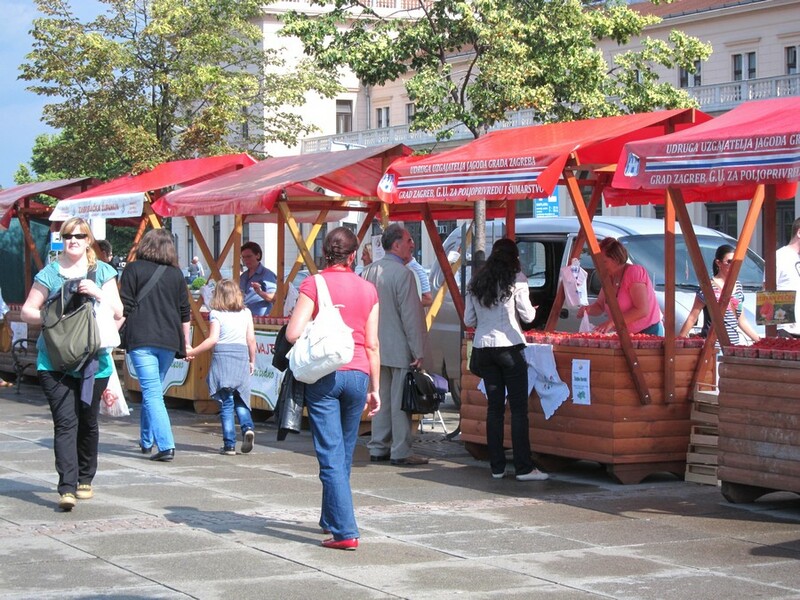 The photo shows many strawberry stands in front of the Zagreb main station. Average price of the strawberries in Zagreb is about 10Kn to 12Kn per kilo. Croatian strawberries has very strong and sweet taste. In Japan, if you go to a supermarket, you will find a pack of strawberries that are very regular in size. I don't know why, but Japanese people, or better to say, Japanese shops think it's better to sell everything are in regular/even and shapely. And they are usually very expensive. A pack of strawberries during in season is about 4 to 5 Euros. 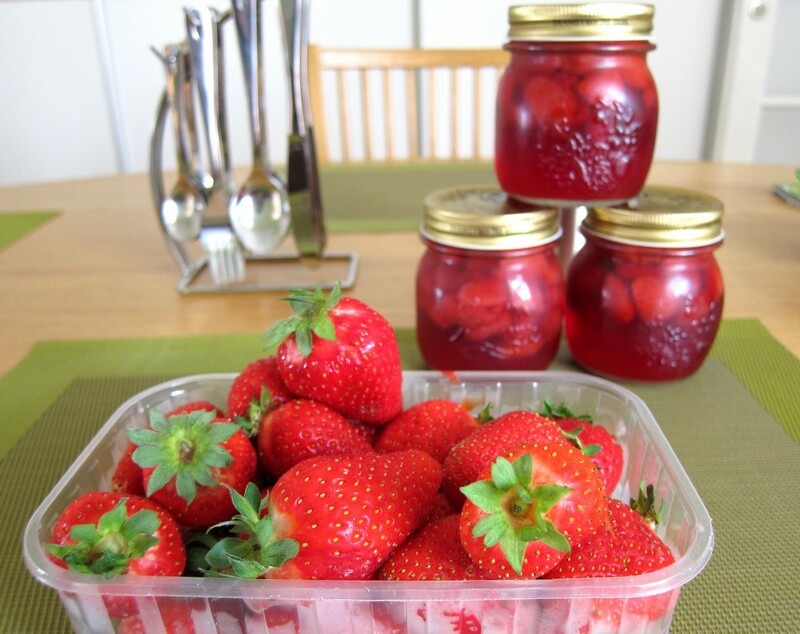 If you want to buy "normal" strawberries, which are irregular in shape, then you need to go to a local market. Usually, they are cheaper and better in taste (I think). 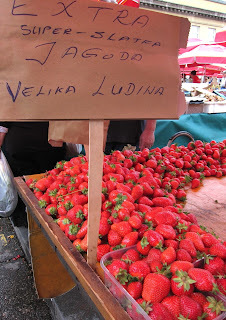 In Croatia, I can find strawberries only when they are in season, which is a bit different from Japan. 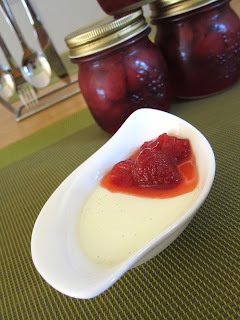 So, I ate a lots and lots of strawberries during this a month and a half until I got tired of them :) I usually like to eat strawberries with condensed milk, but I couldn't find it here... So, I made it according to a recipe. アートな街ザグレブ　Capital of Art Zagreb? !